Shrimp Ceviche – This No Cooking Required Mexican-inspired ceviche recipe is light, fresh and full of flavor. Citrus marinated shrimp, tomatoes, cucumbers, onions, avocado and jalapenos make the most delicious and easy to make ceviche ever! Shrimp ceviche is a simple and tasty dish that can be made in very little time. No fancy ingredients are needed and no cooking is involved in the preparation of this full flavored ceviche recipe. 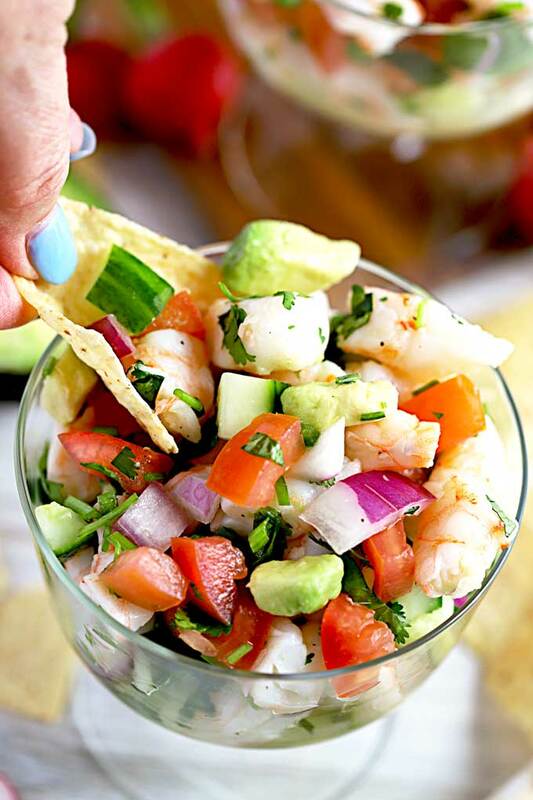 Ceviche can be served as an appetizer with tortilla chips for scooping or with crackers. As part of a meal I like to serve it taco style over lettuce leaves or atop crispy corn tostadas. I always think of ceviche as a seafood salad. 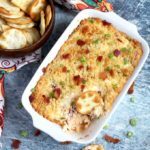 It is a popular dish from South and Central America made with raw fish and seafood. Traditional ceviches are made by marinating fish and seafood in citrus juices. The citrus “cooks” the fish and seafood perfectly. Onions and other vegetables and herbs are then added to finish the dish. Did You Know? Citrus cooks the fish/seafood by denaturation (altering) of their proteins. Denaturation is a process in which proteins lose the structure of their native state, by application of some external stress or compound such as a strong acid. Is This Shrimp Ceviche Made with Raw Shrimp? No. Although traditional Mexican ceviche starts with raw shrimp, in this ceviche recipe I use cooked shrimp. There are a few reasons for this – convenience, safety and time. Most of the seafood sold in supermarkets is farm raised and shipped from a remote area. Unlike fish, which I eat raw in sushi, shrimp can grow bacteria much faster and although the citrus “cooks” the shrimp, it may not kill all the bacteria. Cooked shrimp is readily available and by using it, you can shave off about 30 minutes of prep time. 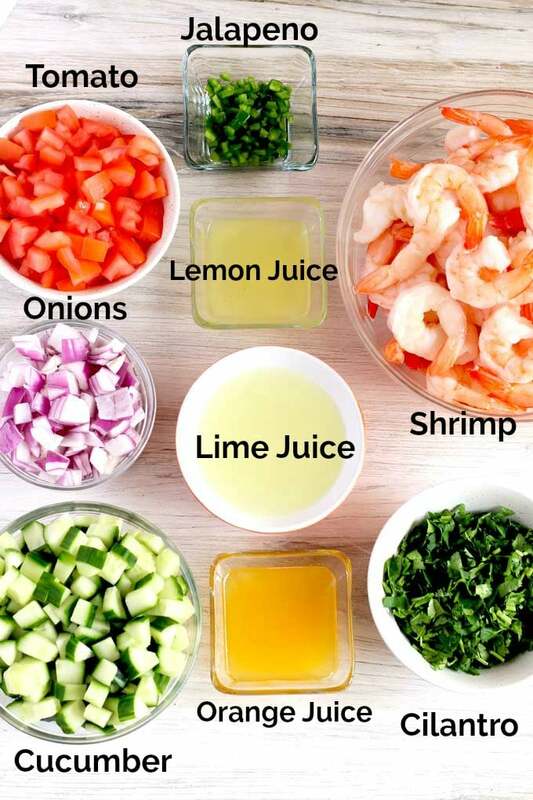 If you have fresh shrimp available in your area and would like to make this recipe the traditional way, marinate the raw shrimp in the citrus marinade for 30 minutes before adding the rest of the ingredients. Just like when eating sushi, if you are pregnant or have a compromised immune system, I will suggest you use cooked shrimp. Fresh lime, lemon and orange juices. How To Make Shrimp Ceviche? Cut the shrimp (peeled, deveined and tails removed) into smaller pieces. 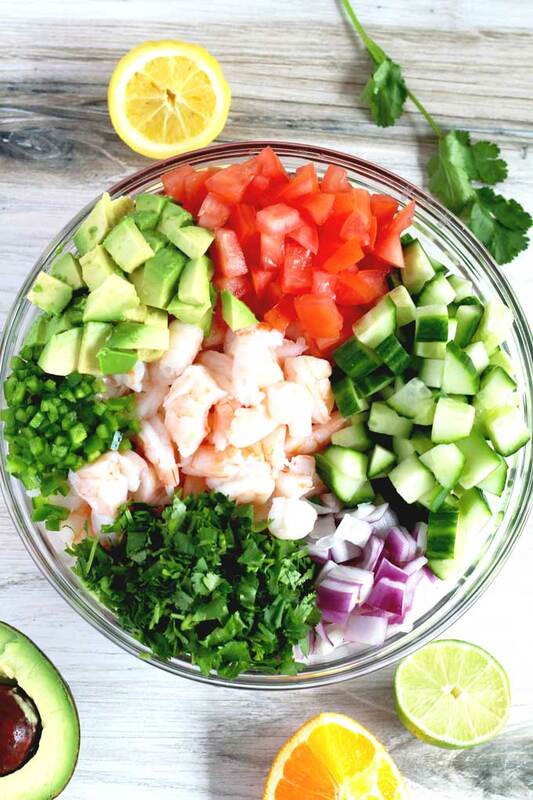 Place the shrimp, onions, jalapenos, cucumbers, tomatoes and cilantro into a large bowl. Mix the citrus juices and pour over the shrimp and vegetable mixture. Season with salt and pepper to taste and mix to combine. 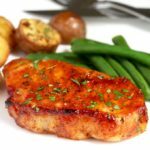 Marinate in the refrigerator for 15 minutes. Add the chopped avocado to the shrimp mixture, toss gently and serve. 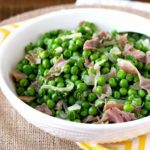 How long will this recipe keep? Although ceviche taste best eaten the day it is made, it will last up to 2 days covered in the refrigerator. What size shrimp should I buy to make Mexican ceviche? Purchase small, medium or large shrimp. The shrimp will be cut into smaller pieces for easy scooping. I will not get jumbo as it is more expensive and you will have to cut it. What type of cucumber should I use? The recipe calls for seedless cucumbers like Hothouse (English) cucumbers however, you can use regular slicing cucumbers peeled and seeded. When using seedless cucumbers, you don’t have to peel them as their skin is very thin. Is Mexican ceviche like Peruvian ceviche? Peruvian ceviche is usually made with fish only. Ceviche mixto has fish and seafood and only contains lime juice, cilantro, onions, chiles and sometimes garlic. 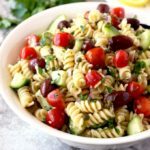 Vegetables like tomatoes, and cucumbers are not part of the dish. 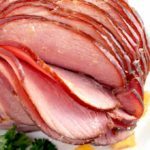 Traditionally it is served over a lettuce leaf with a piece of sweet potato and corn on the cob. If you would like a spicier ceviche, you can use serrano chiles with the veins intact. If making ahead, stir in the avocado right before serving. Fresh lime, lemon and orange juices are a must for this recipe. Easy appetizer idea: Place rounds of corn tortillas into a mini muffin tin and bake until crispy. Fill the cups with ceviche and serve. Feeling adventurous? 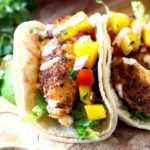 Add diced mango and diced jicama for a twist on this healthy recipe! 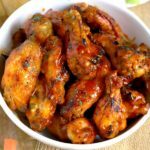 Looking for other shrimp recipes? WANT TO TRY THIS CEVICHE RECIPE? 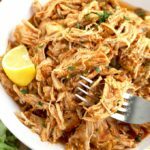 PIN IT TO YOUR APPETIZER OR MEXICAN FOOD BOARD TO MAKE IT LATER!! 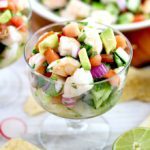 Shrimp Ceviche - This No Cooking Required Mexican-inspired ceviche recipe is light, fresh and full of flavor. Citrus marinated shrimp, tomatoes, cucumbers, onions, avocado and jalapenos make the most delicious and easy to make ceviche ever! Chop the shrimp into 1/2 inch pieces. 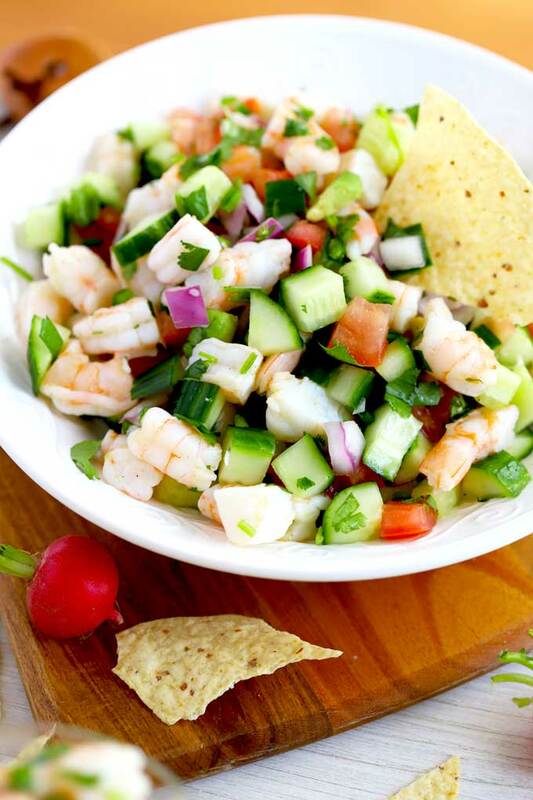 Place the shrimp, red onion, jalapeno, cucumber, tomatoes, and cilantro in a large bowl. In a smaller bowl, mix the lime, lemon and orange juices. Pour over the shrimp and vegetable mixture. Season with salt and pepper to taste and mix gently to combine. 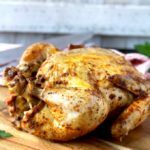 Cover and refrigerate for 15 minutes. Add the chopped avocado and gently mix to combine. Serve. You can purchase any size shrimp as it will be cut into smaller pieces. You can marinate the shrimp and vegetables and refrigerate up to 8 hours. 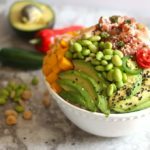 Add the avocado before serving. 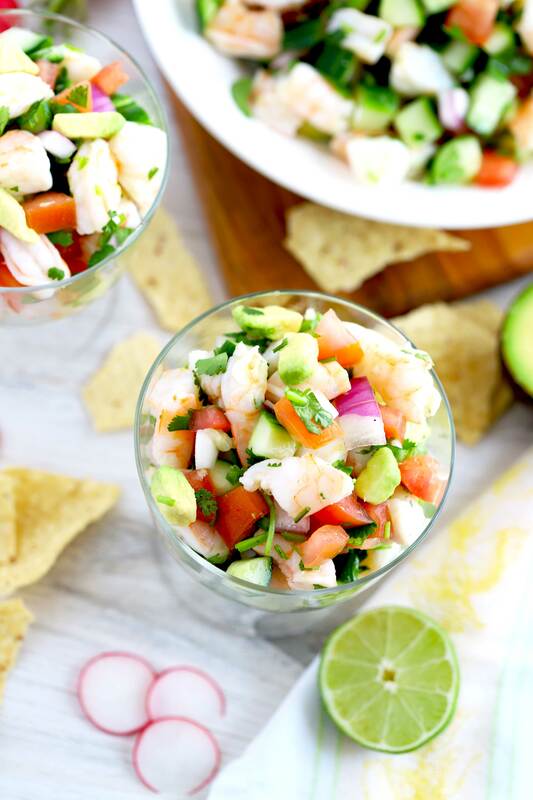 There’s nothing like a good ceviche and this recipe is a keeper! I love ceviche. But you know, I’ve never made it at home. You’ve given me the confidence to make it! Thanks! 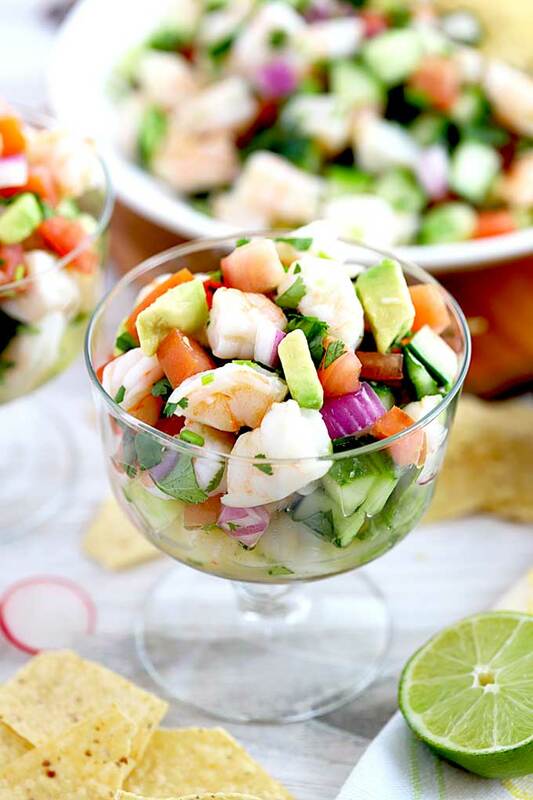 I absolutely love ceviche, all that tangy citrus with the tender shrimp – YUM! This looks fantastic!! 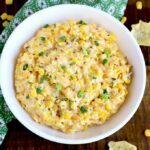 This worked so well last night as an appetizer for happy hour at our house! 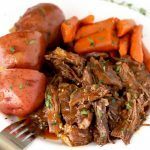 My husband loved it and asked that I make it again! Gotta love that! This is a perfect Mexican Ceviche! My family is going to love this.